It has been a while. I seem to only make it back Blog when I am planning or recapping a birthday party. Well... My little Jewel is 3 years old so here I am. It seems like just yesterday I found out I was pregnant with her!!! All I can say is that time is a thief! We can not stop it or slow it down but we can enjoy it, cherish it and soak up every minute we have been blessed with. 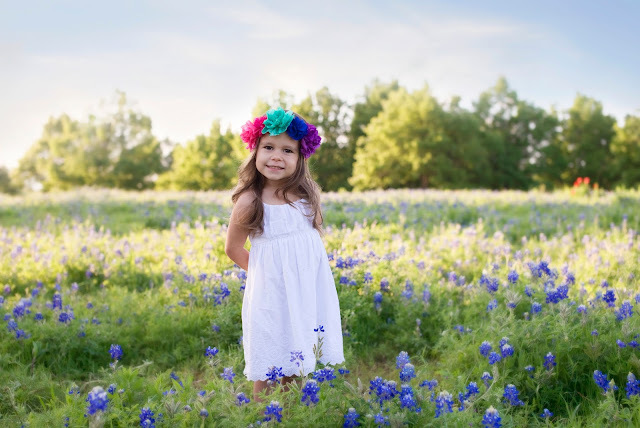 The Lord is constantly reminding me to enjoy the journey and thanks to my sweet little girls I am reminded so often to stop and smell the roses along the way. 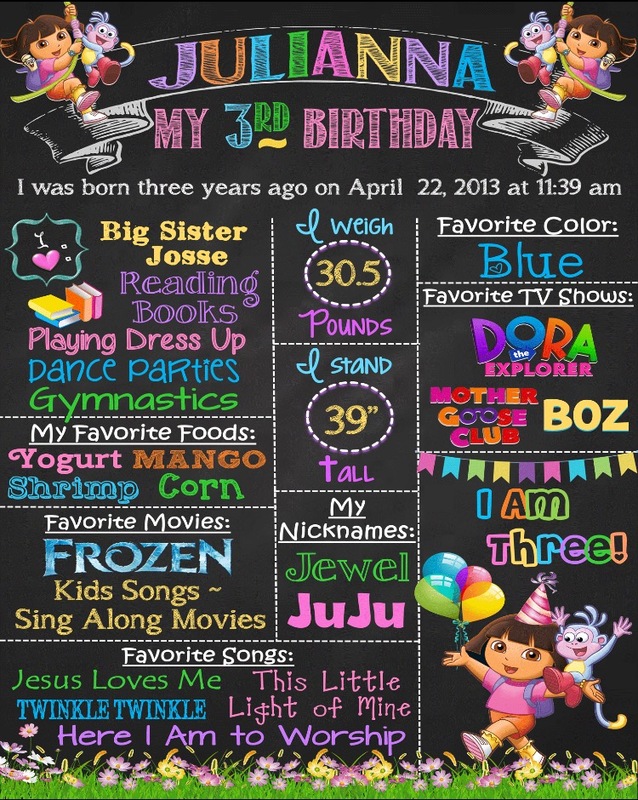 Anyways, here is a look at my "inspiration board" for Julianna's 3rd Dora Birthday Party. I am becoming more laid back and less of an OCD control freak as my girls get older. I asked little Jewel a few months ago what kind of birthday she wanted and she replied "DORA!" my mornings usually consist of tired mommy with coffee in hand, both girls fighting over my lap and Dora, Boots & Swiper on the TV. So a Dora party only seems appropriate for my little Jewel. Life is probably the busiest it has ever been yet I still love to throw a good party so I had to think EASY. Normally I transform my moms club house which takes a lot of work. Here is a look at Jewel's Breakfast with Minnie Mouse party I did last year and her very 1st Birthday A Circus Birthday Party. This year my goal was to stay simple (for once!) I just promoted to the highest level in my company It Works (which has been the hugest blessing ever) but this stay at home mama is now more of a work from home mama so I don't have quite the amount of time I use to have. John and I discovered the cutest restaurant ever Hula Hut on Lewisville lake near our home in Frisco. It originated in Austin, TX and they recently opened a location out here in The Colony. It has become one of our absolute favorite spots to eat and one night John said why don't we have Jewels Birthday here! That was the best idea ever!!! Hula Hut has delicious Mexican food with an island/sea food twist! 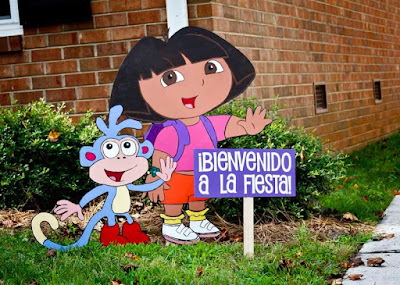 Which goes along with our favorite Spanish speaking island explorer DORA! It was like Hula Hut + Dora were meant to be! haha So we booked a big room they have, which over looks the water and it seriously could not be more perfect! It is already decorated super islandy and the ceiling is covered in lights! I will not have to even decorate...really it is so perfect. 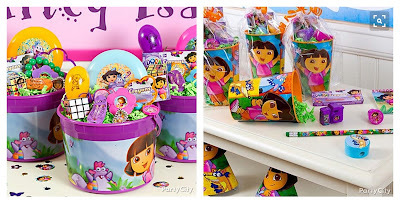 The room is already decorated very Hawaiian/Island like but I do want it to look like a 3 year olds party so I want to incorporate some Dora touches. I am thinking purple, pink, aqua, yellow, green. I wanted something colorful and fun to go on the tables. I do not need anything to over the top because the room is already so busy and full of cute Hawaiian themed nick-naks but I do want it to look like a 3 year olds party. I am not planning a lot of decor but I have fallen in love with these big, wooden Dora cut-outs!!! They would be so cute to sit around. Gotta have some balloons & I love this life size Dora baloon! It is the cutest thing ever. I love birthday banners so who knows, maybe I can find somewhere to stick one! 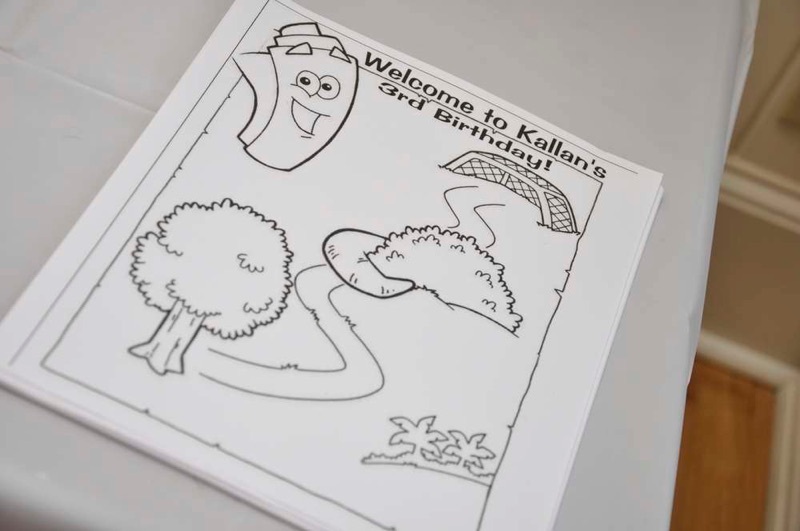 I am going to have a face painter and balloon artists at the party for the "entertainment" but I always like printing some free coloring pages and sitting out some crayons for the little ones! 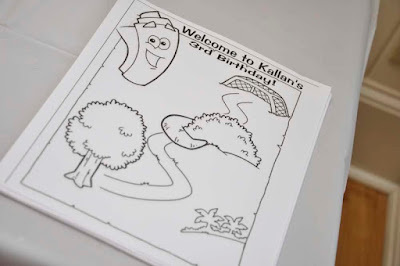 If you haven't googled what ever theme coloring sheets you need for a party then I recommend doing it!!! It is easy & cheap! Since I am having this party at a restaurant I do not need plates/napkins/etc However I am going to still incorporate Dora dessert plates to help get the "theme"across. These are my favorite ones! Hawaiian flowers + Dora. I learned the hard way not to "over due" party favors on Josselyn's 1st birthday when I was stuck with 15 left over sand buckets over flowing with goodies! haha Since then I have always tried to keep the favors simple. 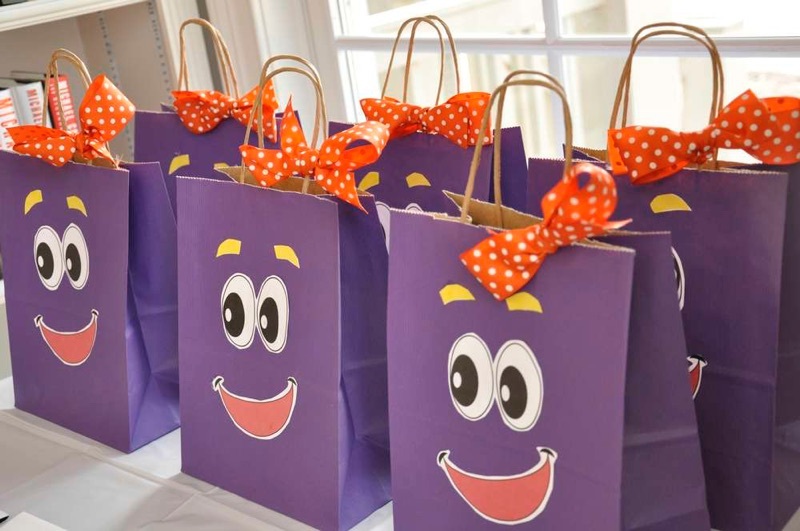 I fell in love with these "back pack"bags stuffed with goodies! I also found some cute Dora activity pads, cups, etc online at Party City that will fill them up perfectly. 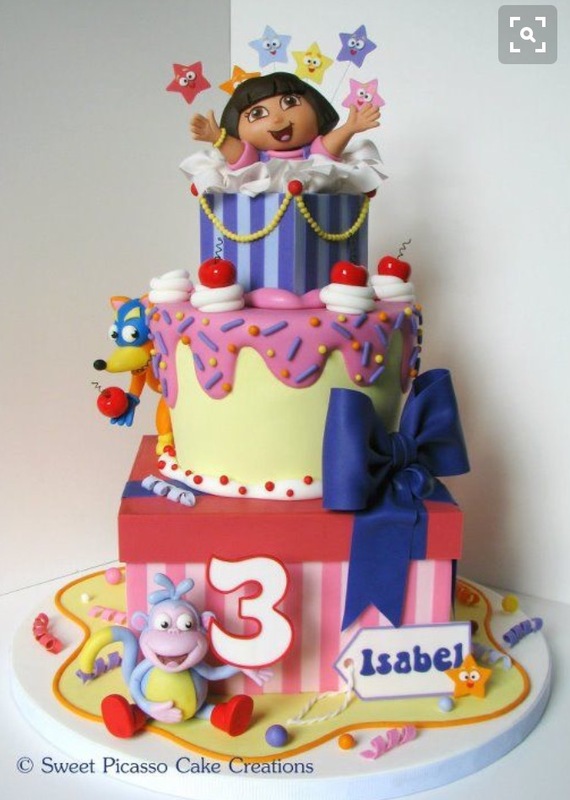 Cake: Of course I love the hula Dora one!!!! Something like that will be perfect for this party. I have found so many cute Dora themed desserts online. The cookies are my favorite! I always do some kind of cute sister outfit for my girls. I love adding a personalized touch so I always incorporate their name or monogram. I am going to try to do some sorta of Hawaiian style meets Dora outfit. 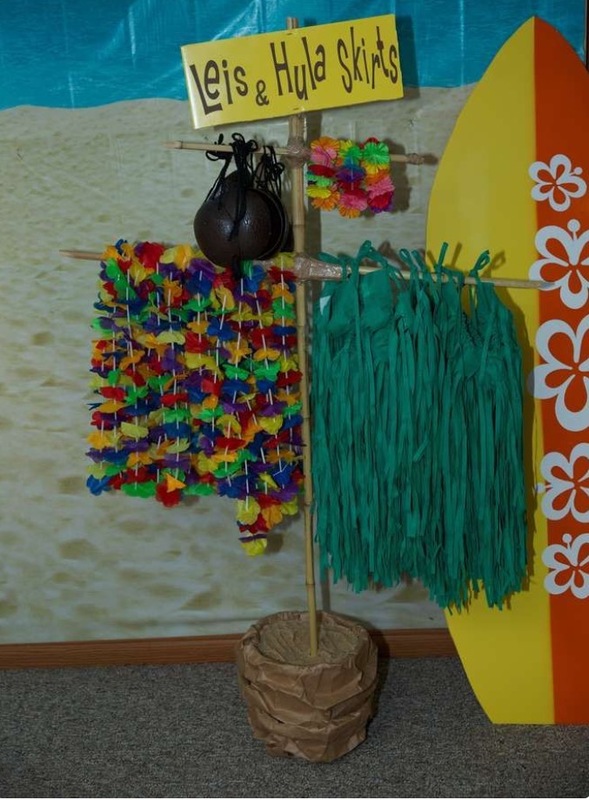 I love the idea of giving all the kids Hawaiian leis when they come in! I love doing little personal touches so of course I had to have a Dora chalk board sign made from Etsy for the birthday girl. 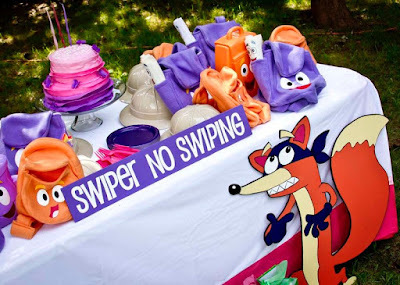 I could not find invitations I liked in Etsy. Luckily I am in MOPS with the sweetest mom who does party planning! Her business "Parties on the Porch" does party planning, decor, invitations, basically everything and she had these precious invitations designed! They are perfect! Well there you have it! 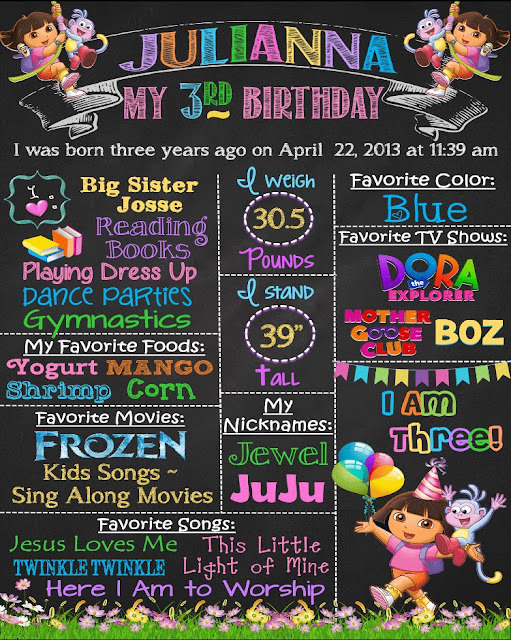 A little sneak peak at Julianna's 3rd Dora Birthday party inspiration board! I will be sure to post pics of the party as soon as I get them!!! 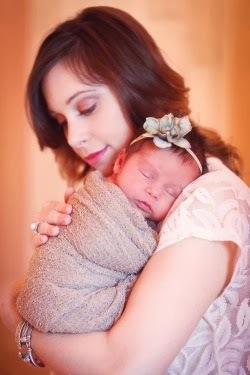 Julianna, you are my angel baby. You were the sweetest surprise of my life and I can not even begin to imagine life without you! You have the most tender heart, you are sensitive and sweet, you love to cuddle and be held (still) and you give the best, big kisses in the world. You love BIG little one and I can not wait to watch you continue to change this world. The beauty of the space and food get 5 juicy stars. The venue NYC was built with class! I'm no critic, but this place makes you appreciate design and aesthetics. I went to two events here. Both times, I had a great experience.